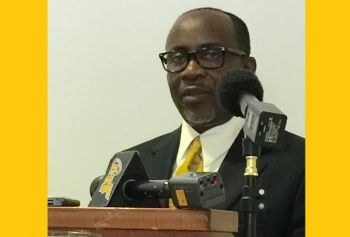 Bishop Cline has always been and continues to be one not to be muzzled especially on matters of country, be it politics, religion or matters of the past and future pertinent to the British Overseas Territory of the Virgin Islands. 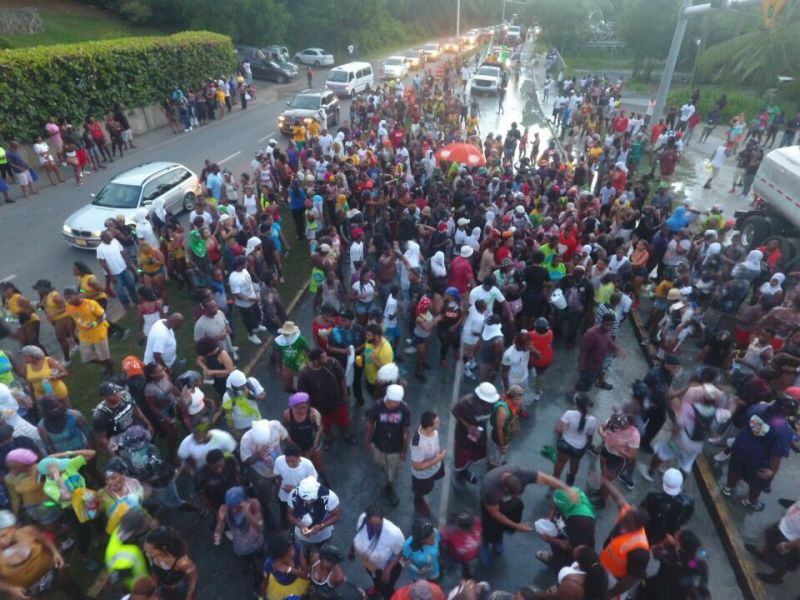 The 2017 edition of the annual emancipation and territory festivals came to an abrupt end on Monday August 7, 2017 when torrent rains ripped through most low lying areas of Tortola, destroying roads and other infrastructure and flooding homes and businesses. That had resulted in all attention focused on the aftermath of the floods but the clergyman has not lost focus on what he failed to see materialise in the one week of activities that preceded the storm and attracted thousands at the Neil "Mr Melee" Blyden Festiville. In a post-mortem in brief, Mr Cline told this news site, "We are celebrating emancipation and every night we go to that village, whether it be Road Town, East End or Carrot Bay, there is no semblance of the emancipation story." "There is no one bringing to memory the road that our forefathers took, the freedom that they fought for and how they had to fight for that freedom?" Bishop Cline further noted that there is no remembrance of when slavery was actually abolished and how it came to be. "There is no remembrance in terms of the true life in years gone by before there were financial services and tourism." He noted that history was a "long road" and, according to him, "There will be no appreciation for where we are if we can't remember where we've come from and certainly I believe that the next generation to come will have an even less appreciation for emancipation and celebrate less and as the saying goes a people that forgets it's past is destined to repeat it." The outspoken Mr Cline is preparing to come out with a national address in the next few days that will expand on this and touch other matters of country, including religion, politics and the recent tropical wave of August 7- 8, 2017. Where is the no judgement in church ? too many ppl have too much to say and access to the media. look at other countries festival and compare to ours before u speak. Every year the same talk. What happened to the Emancipation March to the Sunday morning well? it use to be more attended. Start there by bringing back unity and the culture as a Bishop and stop talk. Celebrating the Emancipation from one form of slavery to the next. Freedumb. Self-determination is the next stage of emancipation. Modernised colonialism should be understood on its face. Where were you on the cultural/opening night? You seem to be good at throwing up smoke screens. Blow the trumpet in Zion let him that have an ear hear. Water now something else next time read your bible pray everyday. Keep the devil away. Noah preach and preach and preach no one believed him. He was faithful God spoke then and he is still speaking today. Blow the trumpet sound the alarm follow the heart beat of God brother. I had my time but was never like this. Time to make a change. A week end of festivity for those who want to party at some other time but emancipation week spread it over the territory bring back culture the old time way. Tell it to our sons and daughters. When we are finish they can take the education to the bank and Cash it. Knowledge is power. "Tumbleweed has a way of disguising its self" bewarned you heard it from a tumbleweed!!!! More hot air from Duff's Bottom searching for relevance. What was the slavery fight during slavery? Is it well documented? yes start with you.. where were your members on Sunday for the Emancipation Service under the well did you invite them? where were all the so call Christians? Church of God Pastor and Members, New Testament Pastor and members, Methodist Pastor and Members, Seventh Day Pastor and Members? Anglican, Agape, Cane Garden Bay(Just a few) name it all where were the religious folks ?bloody shame where were they?? we really need to get it together first before you come here shooting smoke. In organizations employees are often blamed for poor organization performance. However, studies have indicated that environment, not employees, is a major cause of poor organization performance. Similarly, organizational planning, organizing, directing, controlling.......etc may be the cause for the Emancipation Festival losing its true purpose. Government, parents, Boomers .......etc must shoulder the blame for younger generations believing that Festival is about entertainment, jump up........etc, not the physical freedom from slavery of our foreparents on 01 August 1834. Nonetheless, efforts must be exerted now to promote the purpose of Emancipation celebrations. Slavery and Emancipation must be an integral part of the curriculum in primary, secondary, community college........etc; it should also be in the curriculum of private schools. Emancipation should be the core focus of Festival. Without change, in a few short years, the real meaning of the Emancipation celebration will be loss. Moreover, the Festival Committee must re-focus its effort, though challenging, on celebrating the reason for Emancipation. VI culture is on the decline; it is being substituted with the culture of others. The VI must be proud of and celebrate its culture. The VI is now a melting pot; all roads leads to the VI(100+ nationalities now call the BVI home). The VI should employ and embrace the culture of its many nationalities to enrich it, not replace, its own culture. Our actions should result in our foreparents resting peacefully, knowing that their blood, sweat and tears was not in vain. Emancipation Festival 2018 should experience a rebirth. Let's make it happen! I pray we have at least 1000 more like you. Not because other Caribbean nations have lost their way, we must follow suit. We must recognize the error of our ways and chart a new course. In fact, I think we already have the slogan for Festival 2018. Slogan: Festival 2018: Come Experience the Rebirth! Theme: Remembering and honouring the sacrifice paid by our forefathers for our emancipation!! Great start to get us back on the right track. BVI, leh we do this thing!! Ayo always got something to say, tell us exactly what you want us to do for the festival, go church every night? Have no jouverts? No kind of village performance? Tell we!!!! Celebrate Emancipation like we are really free. That's what we want. You don't have to go church but we encourage you to. There can be village and regional/international performers. The unnecessary bumping and grinding, females throwing up their legs exposing their crotch; do you call that freedom. That in itself is a form of slavery. It is not Carnival it is festival. What persons are saying is not to kill your celebrations but in whatever is done to ensure the meaning is not hidden. Ensure aspects of actual Emancipation is brought out more, other wise it's just a big jam no different from anything else throughout the year.